Their powers are in their DNA - so who better to write them than Dan Abnett and Andy Lanning! 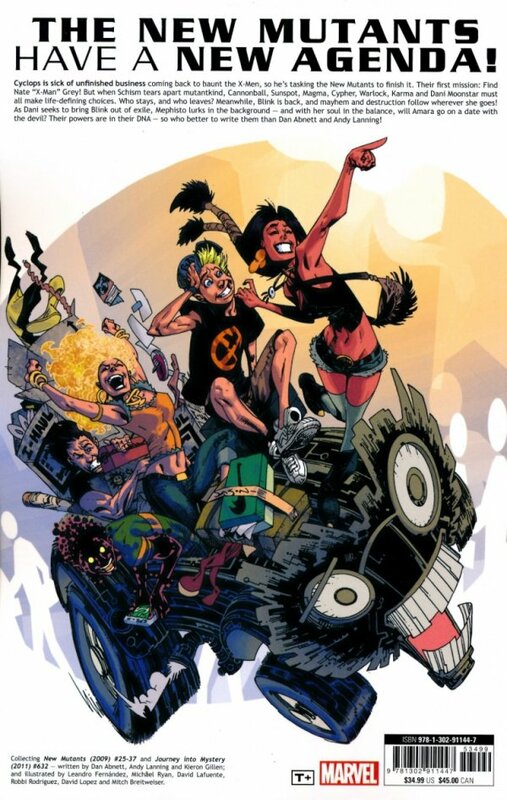 The New Mutants have a new agenda. 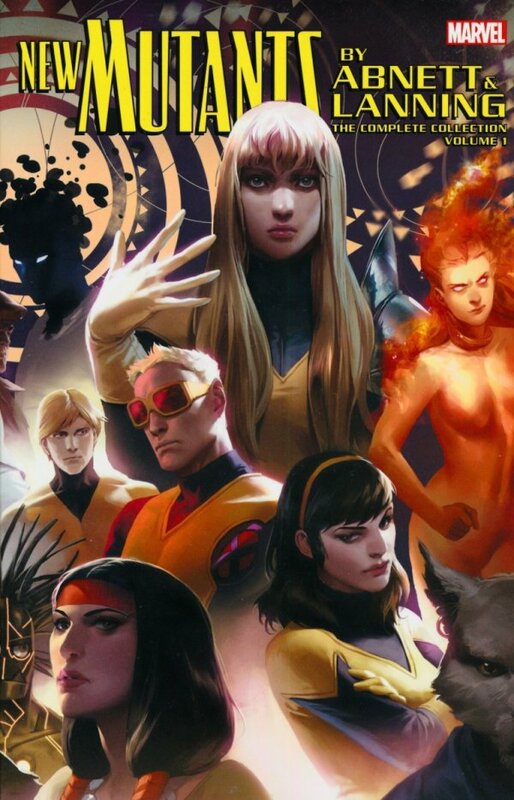 Cyclops is sick of unfinished business coming back to haunt the X-Men, so he’s tasking the New Mutants to finish it. Their first mission: Find Nate "X-Man" Grey! But when Schism tears apart mutantkind, Cannonball, Sunspot, Magma, Cypher, Warlock, Karma and Dani Moonstar must all make life-defining choices. Who stays, and who leaves? Meanwhile, Blink is back, and mayhem and destruction follow wherever she goes! As Dani seeks to bring Blink out of exile, Mephisto lurks in the background - and with her soul in the balance, will Amara go on a date with the devil? Collecting NEW MUTANTS (2009) #25-37 and JOURNEY INTO MYSTERY (2011) #632.